Prof Pathak was Professor and Head and Director. He was a renowned professor and analyst of Political Science in Gujarat and at national level also. He was a member in UGC ICSSR. He became Vice-Chancellor of Saurastra University in 1978 to 1981. Professor Pathak was involved in Public activities also. Professor MG Parekh was also senior Professor and scholar in theory thought environmental study, Gandhian ideology etc. Professor K D Desai and Professor Pravin N Sheth – Both were great scholar at national and to some extent international level also. Both have studied and taught in the American Universities like Sirrecux Pennsylvania, Wisconsin, California, Berkley etc. Both were activitists and very popular teachers and regular columnist in Gujarati dailies like ‘Sandesh’, ‘Samkalin’, ‘Loksatta’ and Ahmedabad Mirror since 1963 to 1993. Their contribution to develop the Department was great. They both were great (excellent) teachers. They produced 20 Ph Ds and completed Half a dozen research project. During their tenure they organized several national seminar and workshops. Both Professors were members of so many national level committees like-Election reform committee party reform in committee, Panchayati Raj committee SSND Commission etc. Both awarded (received) full-bright scholarship and ford foundation scholarship also. Professor PN Sheth published more than 50 books, 5 monograms, more than 200 research articles. Professor JK Patel did extensive research in Africa. He was one of the rare experts in African Studies in India. A nationally recognized scholar. He was also a activist in Public life as a rationalist. He was a PhD guide also. Prof Dinesh Shukla was a good teacher and a writer also. He also contributes in Gujarati New papers. He is political commentator in media. Dr. M T Desai-Professor and Head-was a nationally recognized expert in the area of International Politics. He visited several Universities in India to deliver talks in seminars, in refresher courses etc. He headed the department for twelve years. He organized three good National seminars and he invited more than 15 scholars of various fields. He remained UGC member of NACC peer teams of some universities. Professor Siddharth Bhatt and Professor Yogendra Mankad-both were good teachers in areas of Political Theory, Political Post-Modernism, Ideologies. The taught Research Methodology also. They guided at least five M-Phil students (each). In the subject of Political Science we completely revised and reconstructed courses of MA, M-Phil at PG (Masters) and UG level also in 2003-04. Again we revised in 2007-08 and lastly in June 2010. We designed a comprehensive course (curriculum) according to CBCS based on semester system we introduced many new and relevant courses like environment, human right, political economy, political sociology. We structured our new curriculum in the light of NET, UPSC (IAS,IPS). We incorporated topics of competitive examinations. 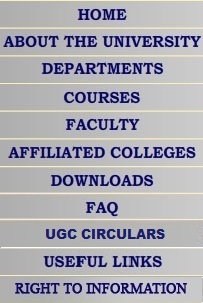 We also revised and implemented new courses of CBCS at UG Level colleges from June 2011. We included so many new areas and topics in foundation courses and soft skill which are job oriented. We informally help students for placement. 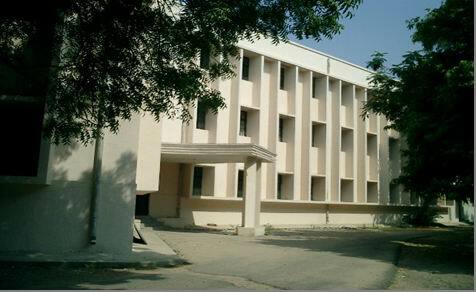 The Department of Political Science is situated in the spacious and recently renovated building of School of social sciences in the Gujarat University Campus. It has two large class rooms, one students’ reading room. Department has excellent infrastructure with three computers with printers and scanners, having 24 hours internet connectivity. As the course offered by the department is a professional one and it has high potential for placements of its students, the department invites distinguished academicians and professional guest speakers having industry experience to interact with students on regular basis. The Department organises state and national level seminars, conferences on a regular basis and has initiated Alumni Association of its past students to support the activities of the department. The department also organizes various skill development workshops for its students. Course Name : Master In Political Science - M.Phil and Ph.D. Eligibility : Graduate 50% Marks. 6 Course in each semester. In 4th semester 5 course and 1 project. 1. National Politics- Indian government and politics Indian constitution elections political parties federalism, leadership. 2. International Politics- Foreign Policies Indian foreign policy non alignment. 3. Comparative Governments- Comparative Polities. 4. Political theory and Thought. 5. Regional Politics- State politics- Gujarat. 7. Foreign Policy Of major powers. 12. Major issues of international Politics- Enviornmentalism, Terrorism etc. Designation : Associate Professor & Head Of The Department. Areas of Specialization : Indian Politics, Comparative Politics, Party System, State Politics, Political Sociology. Areas of Specialization : International Politics, Political Theory, Foreign Policy, Public Administration.